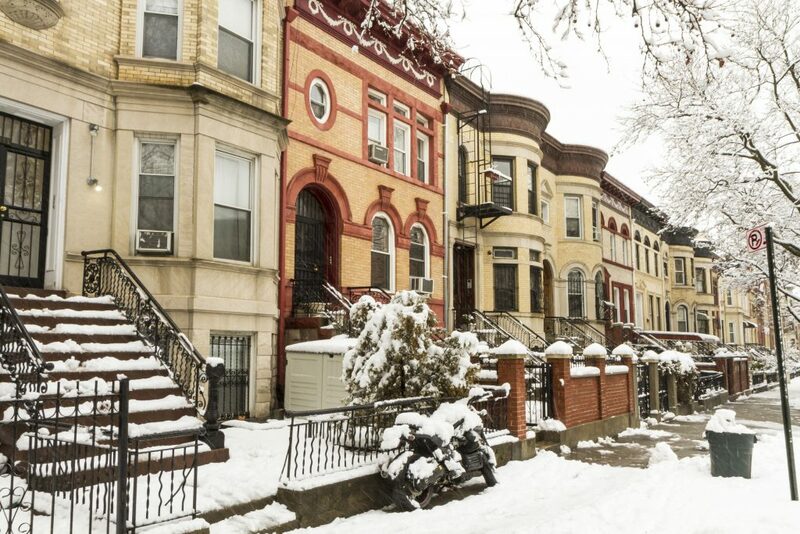 Snow on the stoops of historic brownstone apartments in Brooklyn. Officials are warning New York state residents to be prepared for a storm expected to bring sleet, freezing rain and snowfall totals ranging from a few inches downstate to up to 2 feet in northern areas. Gov. Andrew Cuomo said on Monday that the storm is expected to hit western areas of the state on Tuesday morning and make its way east, with slippery roads and blowing snow likely for the Tuesday evening and Wednesday morning commutes. New York City Mayor Bill de Blasio, in Albany on Monday for a state budget hearing, says conditions downstate could be “nasty” on Tuesday.